Lg. Hat Box set which coordinates with our XLG. 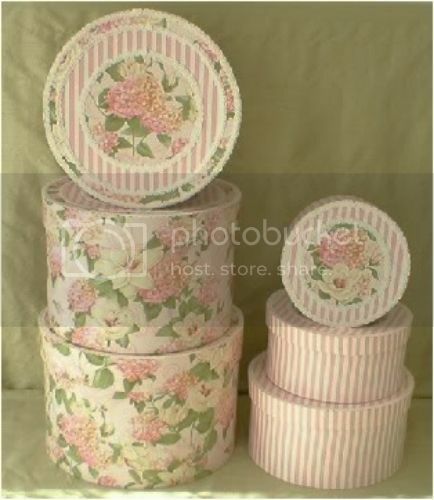 Pink Hydrangeas set. 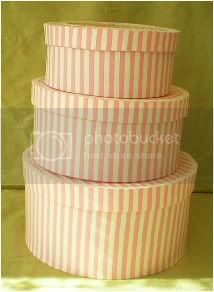 This set is covered in Pink and White Striped fabric. 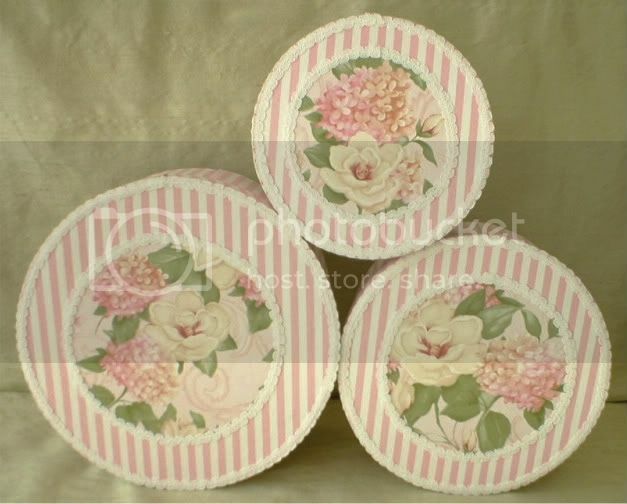 The lid of each lid features a center medallion of Pink Hydrangeas and Creamy Magnolia fabric. Each Medallion is trimmed with dainty, cream Shell Braid. DIMENSIONS: Small: 7" across x 3.5" height; Medium: 8.5" x 4.25"; Large: 10" x 5.25". All of our items are hand made in our Smoke and Pet Free design studio. These are not the mass produced, or overseas imports so common on the internet. Your satisfaction is always guaranteed. Matching set available in this category.